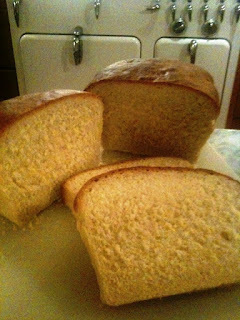 Whenever I bake bread, I am so astonished at how simple (and rewarding) it is, that I vow not to let so much time go by before baking another loaf. But then, months or sometimes years pass before I tear open another package of yeast. 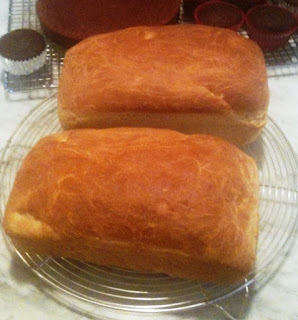 Finally last weekend, I ended my hiatus by baking two loaves of white bread -- something I knew my daughter's boyfriend would enjoy at our family dinner that evening. 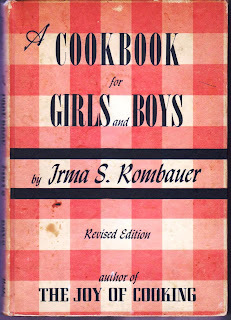 And to showcase the simplicity of bread baking, I used a recipe from the 1946 Cookbook For Girls and Boys by Irma S. Rombauer, the author of the Joy of Cooking. Everyone (especially Josh) enjoyed the bread at dinner that night -- it was still warm and had a lovely texture and flavor. It brought me back to the magical moment when I first tasted home-baked bread. 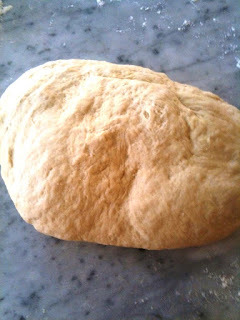 I was at the Rosen's, my next door neighbor's, when friends of theirs arrived, fresh loaf in hand. My entire bread experience to date had been informed by Wonder; as I took my first bite I couldn't believe something this delicious (and addicting -- I couldn't get enough of that bread) was in the same food group! Now, whenever I bake bread, I can return to that transformative childhood moment, thankful that all it takes is some yeast and a bit of time. Nice meeting you at Lauren & Adam's engagement. It looks like you've baked some incredible things! I hope one day I get to try something. Thanks, Jessica. Lovely meeting you too, and Hartley Confections looks great, especially the Superbowl feast! I've been wandering all over your blog - LOVE LOVE LOVE it. 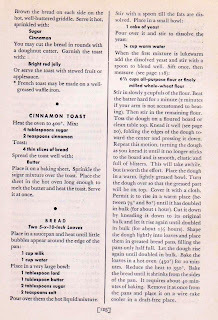 I love the vintage recipes and the little in-between tidbits you write! I'm your newest follower. @LBDDiaries: Thanks so much!! Glad you found me!